We have been this field for almost 10 years. All items are designed by our designer. We design each of our glasses with comfort, lift, and spirituality in mind to fit your lifestyle. Reduce surface reflections; Easy to clean; Scratch resistant; UV 400 protection; superb optical clarity. We have been design our products standing in the customer position, providing the best service and thinking every customer’s suggestion! 1.Materials: Plastic + Metal frame. 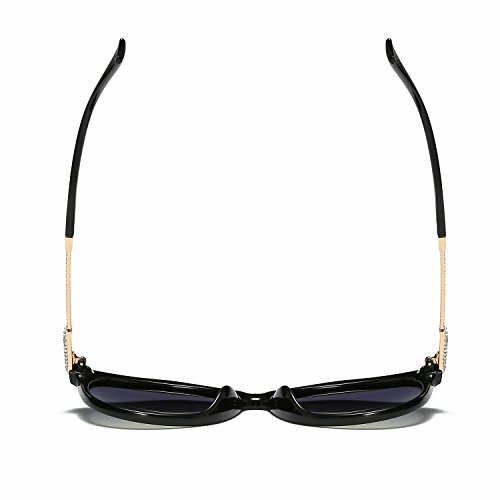 Made with the highest quality materials, these sunglasses were constructed using special design techniques in order to ensure durability and avoid breakage while engaging in sports and recreational activity. All glasses comply with EN 1836:2005 and US FDA 21 CFR 801.410 and FDA dropball test. 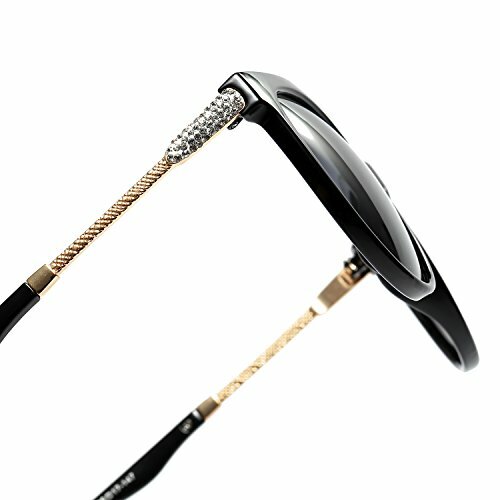 Diamond decoration is perfect for womens glasses. 2. 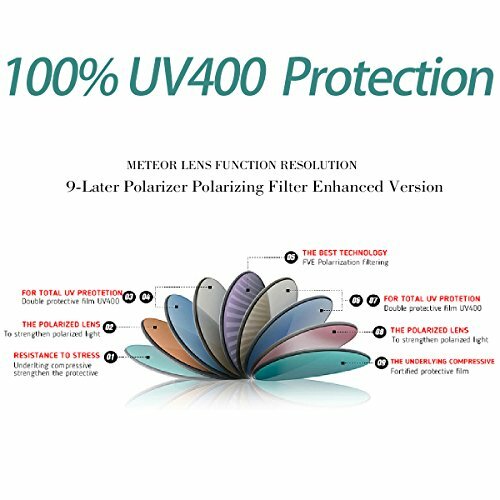 Function: Polarized, 100% UV400 protection lenses guards against harmful UVA & UVB rays. 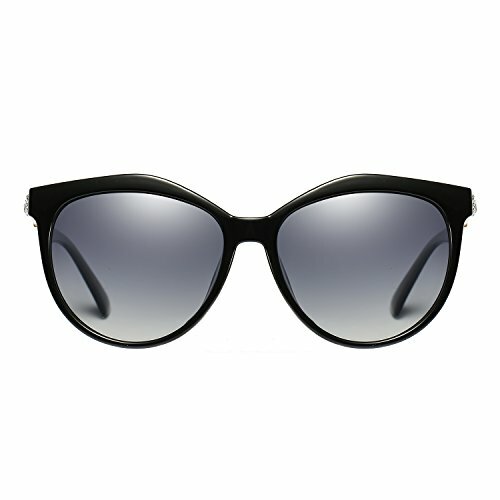 To protecting your eyes against long term UV damage and keeping your eyes healthy when you go out. 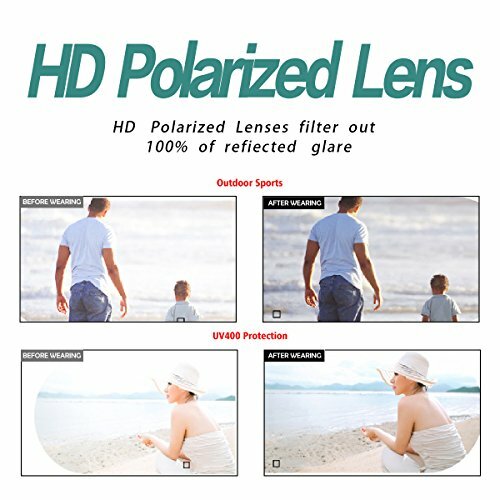 Eliminate reflected light and scattered light and protect eyes perfectly. 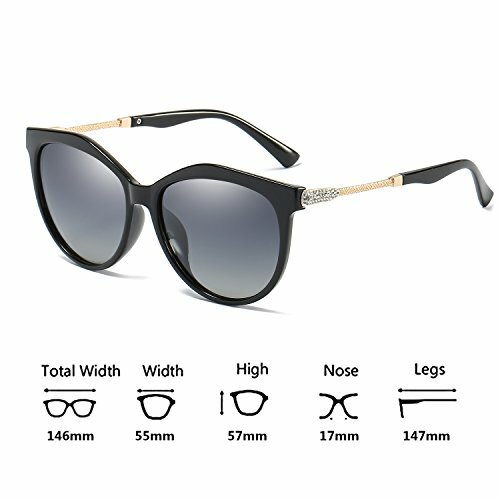 3.Products Dimension: Lens Height:57mm(2.24 Inches); Lens Width:55mm(2.16 Inches); Temple Length:147mm(5.79 Inches); Nose Bridge:17mm(0.67 Inches). 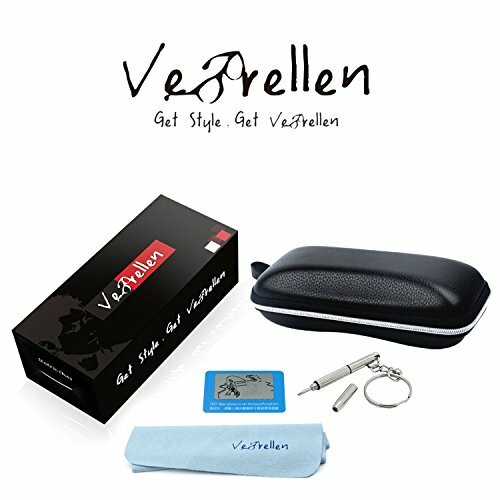 4.Package Included: sunglasses, hard case, polarized test card, soft cleaning cloth, mini screwdriver, retail color box. 5.Occasions Suited: such as walking, driving, shopping, taking photos, and is suitable as high fashion accessory and daily wear all year round. It is also gift ready, making it a wonderful yet practical gift idea for friends and Family.